158 pages | 41 B/W Illus. 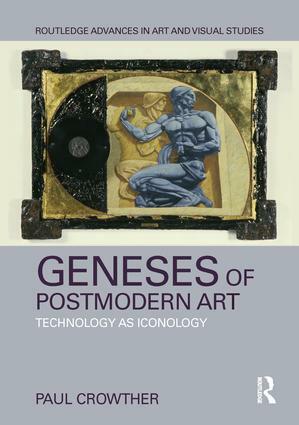 Postmodernism in the visual arts is not just another 'ism.' It emerged in the 1960s as a transformation of artistic creativity inspired by Duchamp's idea that the artwork does not have to be physically made by its creator. Products of mass culture and technology can be used just as well as traditional media. This idea became influential because of a widespread naturalization of technology - where technology becomes something lived in as well as used. Postmodern art embodies this attitude. To explain why, Paul Crowther investigates topics such as eclecticism, the sublime, deconstruction in art and philosophy, and Paolozzi's Wittgenstein-inspired works. Introduction: Technology As Iconology 1. Contingent Objects, Permanent Eclecticism 2. The Eclectic Range of Postmodern Art 3. Space, Power, and Complexity: The Modern and Postmodern Sublimes 4. Deconstruction in Art and Philosophy Chapter 5 – Subconscious Circuitry: Paolozzi’s Wittgenstein and the Signs of Postmodernism Chapter 6 – Conclusion: Post-Postmodernism? Paul Crowther is Professor of Philosophy at Alma Mater Europaea – Institutum Studiorum Humanitatis in Slovenia.